Tonight I'm playing as part of a special show at Roadtrip and The Workshop on Old Street in London, supporting Australian Country Artist Aleyce Simmonds. 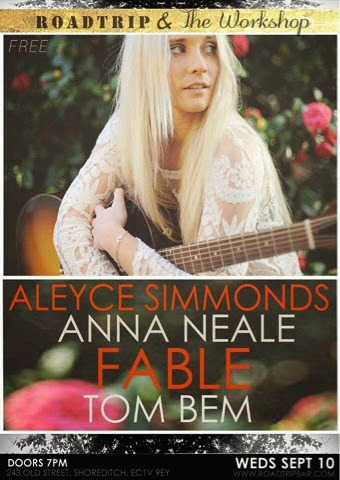 Also on the bill are up and coming singer songwriter Fable (who Russ and Paul are working with) and Tom Bem. Entrance is free (a rarity for London) so come along for a great night of free entertainment and talent!